I’ve been knitting hat after hat after hat. 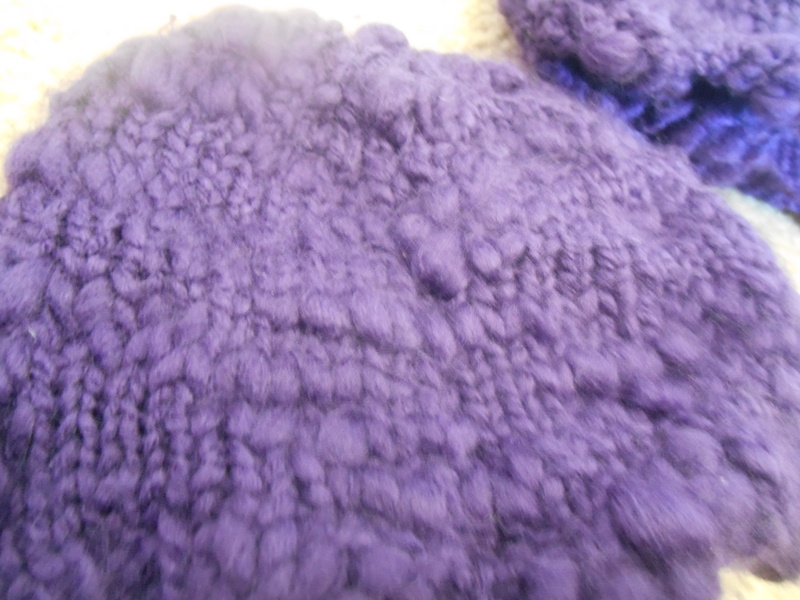 I’ve had this Bernat Max yarn in my stash for a really long time, so I thought I’d use it. 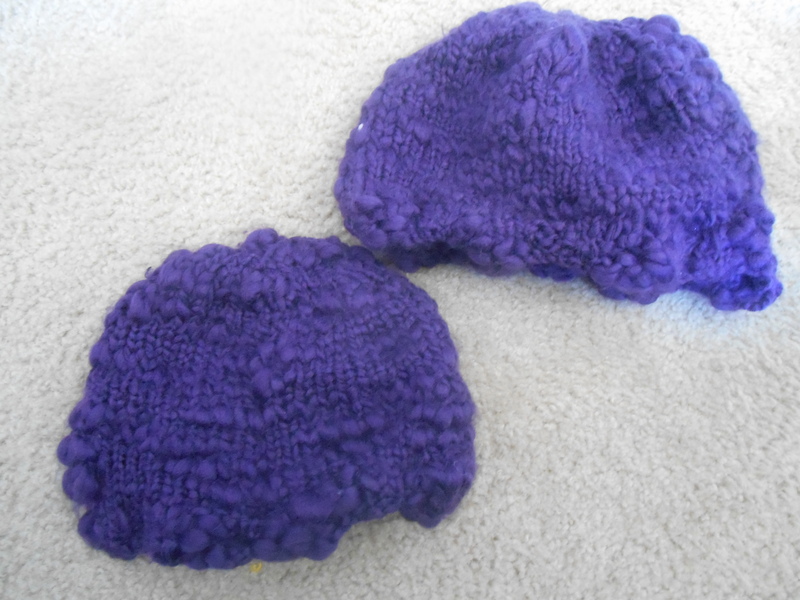 I improvised a hat pattern, using two different size needles – 9 and 10 1/2. I like the size 9 needles one. It fits my 3 year old, and the bigger one can fit me. 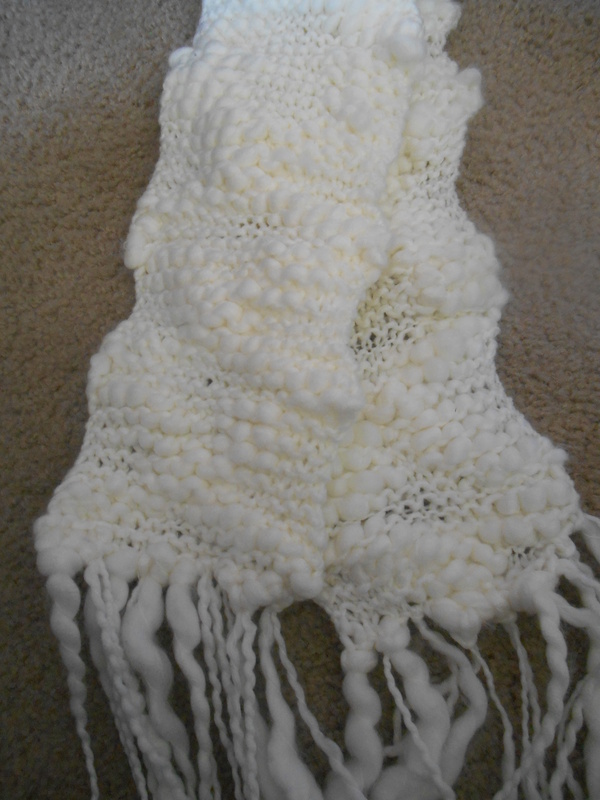 I had a couple skeins of white Bernat Max, and I thought I should make more than just hats, so I made a scarf. 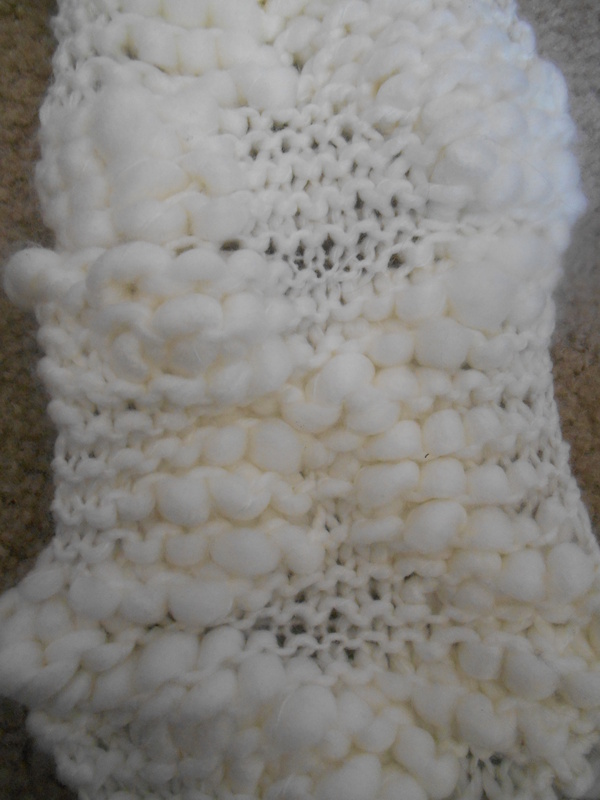 I cast on 14 stitches on 10 1/2 needles. The chunky parts of the yarn made an X pattern. I was pretty excited when it turned out that way. It was completely unplanned. I’m really pleased with it.